A special preview of the South Korean blockbuster, “The Battleship Island,” was held in Paris last Friday. The film’s distributor, CJ Entertainment, said that the movie about Korean forced laborers for Japan during World War Two was screened at the headquarters of the film’s French distributor, Metropolitan Filmexport. 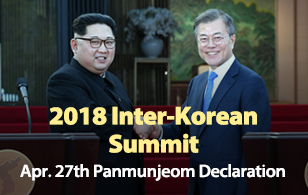 The event saw the participation of roughly 30 UNESCO officials and diplomats stationed in France, including South Korea’s ambassador to UNESCO, Lee Byong-hyun. Last Tuesday, a special preview of the film directed by Ryoo Seung-wan had been held for some 160 diplomats stationed in South Korea at a movie theater in Seoul. 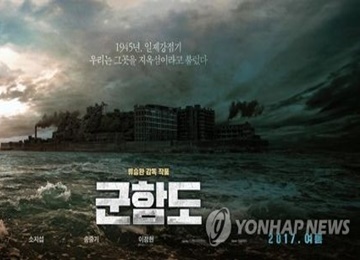 CJ Entertainment, which had pre-sold “The Battleship Island” to 113 countries by June, announced that the film has since been sold to a total of 155 countries. The South Korean blockbuster has drawn over four million viewers in total since its release last Thursday, including nearly two million last weekend alone. "The Battleship Island" refers to Hashima Island off the cost of Nagasaki in Japan. The movie tells the story of how Koreans were forced into harsh labor at an underground coal mining factory on the island during Japan’s colonization of Korea in the 1940s.